We get it. Texas is really mad about Obama, the EPA, and the Clean Power Plan. But behind the bellicose rhetoric from Austin lies an interesting story about the plan’s potential benefits and pitfalls. In this three part series, I’ll look at the plan’s requirements for Texas, take the pulse of three experts about the plan, and look at how a San Antonio utility is prepared to meet its new emission obligations. Let’s start with the outrage. Critics naturally emphasize the worst case consequences. Doug Domenech of the Texas Public Policy Foundation, an Austin-based think tank, estimates 19 to 25 Texas coal plants will shut down and power rates will skyrocket for consumers and businesses. Rep. Lamar Smith, R-District 21, argues the plan will cost billions, but produce negligible reductions in global GHG emissions (most estimates range from .01 to .03 per cent). Coal only accounts for 24% of Texas power generation. 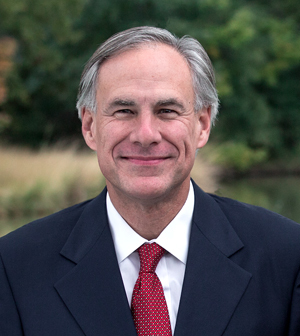 Texas says it will join other states to sue the federal government over the Clean Power Plan. Senate Majority Leader Mitch McConnell went so far as to counsel Texas and other states to refuse to submit a plan to the EPA – which according to the EPA would result in a plan being imposed on Texas. Basically, folks, it’s a war over coal. America produces 1 billion short tons of the stuff annually, but that number is already dropping rapidly – causing coal mining companies to file for bankruptcy and thousands of jobs to be lost – as utilities shift to other fuels or close plants. The Sierra Club claims its Beyond Coal campaign, which mostly consists of suing utilities into submission, is already responsible for closing 200 American coal power plants or forcing them to switch to natural gas. The Clean Power Plan’s goal is to reduce carbon emissions from electricity generation by 32 per cent compared to 2005 levels. 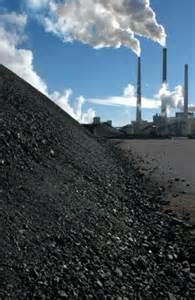 Burning coal emits between 205.7 and 228.6 pounds of CO2 per million BTUs (compared to natural gas at 117 and gasoline at 157), according to the US Energy Information Administration. Natural gas is already the leading fuel for Texas power generation at 17,500 GWh in April (56% of total generating capacity), compared to coal at 7,500 (24%), renewables at 4,000 (13%), and nuclear at 2,500 (8%). Even though Texas only gets a quarter of its power from coal, the states leads the country in coal consumption by a hefty margin. According to the EPA’s Texas backgrounder, all state goals fall in a range between 771 pounds emitted of CO2 per megawatt-hour (states that have only natural gas plants) to 1,305 pounds per megawatt-hour (states that only have coal/oil plants). The 2030 target for Texas is 1,042 pounds per megawatt-hour, which puts it in the middle of the pack compared to other states. Texas will be allowed to come up with its own plan for how to achieve that goal. The EPA doesn’t require a specific approach. The state could decide to replace coal with some combination of nuclear, natural gas, renewables, or demand-side energy efficiency. The mandatory reductions begin in 2022, with a “glide path” of stepped reductions to the target by 2030. In Part 2 of this series, I’ll examine Texas’ options based on interviews with three experts: Ed Ireland (energy economist, head of the Barnett Shale Energy Education Council), Tracy Hester (University of Houston Law Center), and David Spence (Co-Director, Energy Management & Innovation Center McCombs School of Business & School of Law). The theme of the interviews: Can Texas take the lemon handed to it by the EPA and make lemonade, and what obstacles might stand in its way? This article brings to mind several issues. 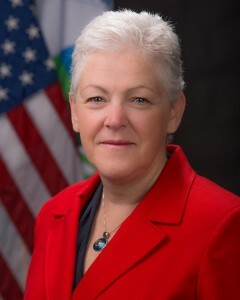 One is whether the EPA has the legal authority to impose such a program on the states. Two is whether it’s sensible for an environmental protection agency to dictate ENERGY policy for the country. Three is whether it makes sense to shut down coal plants before the end of their useful lives. Four is what will happen to the global warming problem, given that the USA cut backs will have very little influence even if the transient climate sensitivity is as postulated by the IPCC. Five is whether the EPA’s climate model ensemble was crafted using a sensible set of “business as usual” emissions profiles (I think it wasn’t, they blew their climate models with outlandish base case fossil fuel emissions).